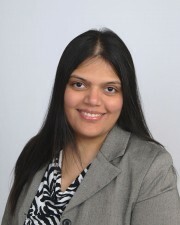 Dr. Dholakia is a perfectionist and takes pride in her ability to provide her patients with high-quality care in a comfortable and anxiety-free setting. She offers her patients treatment plans with the best options available, focusing on painless dentistry. Dr. Dholakia offers realistic and honest expectations before beginning treatment, always making her patients’ comfort the top priority. Dr. Dholakia enjoys spending time with her children and reading. Really nice and professional service. Office very clean and inviting. Dentist and Dental Tech were great.